IHG® Rewards Club - eBooks - D.B. In 1971, a man calling himself D.B. Cooper hijacked a flight, claimed his ransom without harming a soul, and vanished. 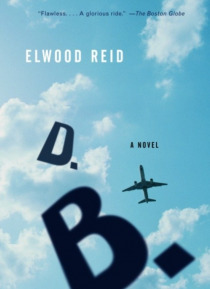 Elwood Reid uses this true story as a starting point, imagining Cooper as Phil Fitch, a Vietnam vet with a failed marriage who decides the time has come to do something that will save him from a life of punching timecards and wondering what could have been. Fitch ends up in Mexico… , where he drifts until a bad turn of luck forces him to return home.Meanwhile, newly retired FBI agent Frank Marshall is struggling with his new life of leisurefishing, spending time with family, and drinking too much. Unable to let go of a few old cases, Marshall decides to help a young agent determined to solve the mystery of D. B. Cooper. As they close in and events bring Fitch back home, these two stories head for a moving climax in a smart, gripping, and frequently hilarious tale of one of Americas modern folk heroes.From the Trade Paperback edition.